Aside from the ongoing Season of Advent – from December 3 to 24 – there’s another Feast day to celebrate in early December. 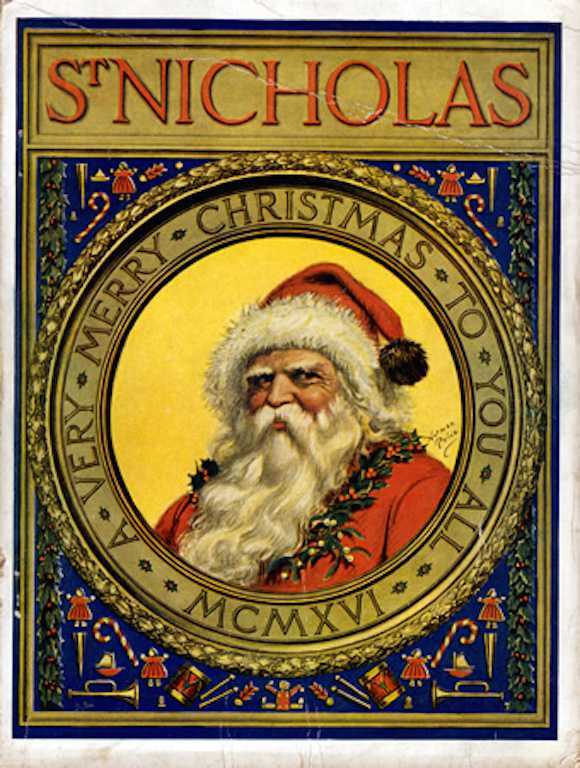 Wednesday, December 6, was the Feast day for the REAL “Jolly Ol’ Saint Nick.” He was Saint Nicholas of Myra, and he lived from 270 to 340 A.D. So when Dr. Philip O’Hanlon told his daughter Virginia – at left – “Yes, there is a Santa Claus,” he was telling the truth. Or at least the truth as that term is defined in today’s politics. The best-known story involves a man with three unmarried daughters, and not enough money to provide them with suitable dowries. This meant that they could not marry, and were likely to end up as prostitutes. [This was in “the good old days.”] Nicholas walked by the man’s house on three successive nights, and each time threw a bag of gold in through a window (or … in colder climates, down the chimney). Thus, the daughters were saved from a life of shame, and all got married and lived happily ever after. Another story was more gruesome, but also had a happy ending. During a time of famine, a butcher “lured three little children into his house, where he killed them, placing their remains in a barrel to cure, planning to sell them off as ham.” But Nicholas of Myra both “saw through the butcher’s horrific crime” and resurrected the three children from the barrel. This entry was posted in Feast Days on December 9, 2017 by dorscribe@aol.com.